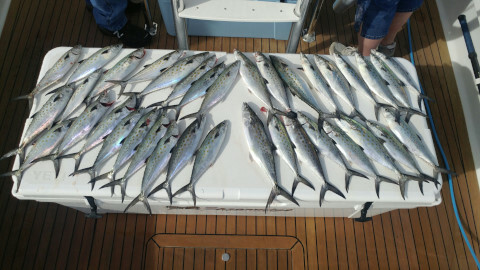 We had beautiful fall weather today here at Pirate’s Cove Marina… The 2 boats in our Offshore Fleet that did go out today returned to the docks with Black-fin Tuna, and limits of Mahi-Mahi, and the Nearshore Fleet brought back some nice Spanish Mackerel..Don’t forget to stop by the Ship’s Store and take advantage of our 25% off sale on Tournament Gear.. There may not be a lot of boats going out, but the boats that have been are returning with limits of Meat-fish for their fishing parties.!. 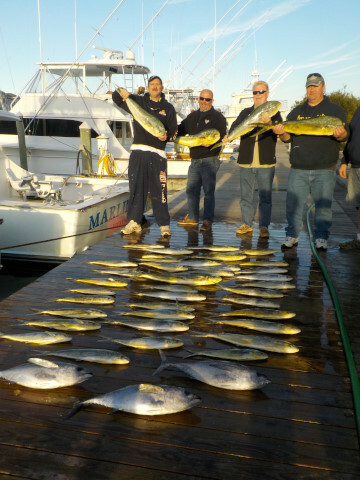 Give us a call at 252.473.3906 or visit us online www.fishpiratescove.com to get you hooked up with some of the best Captains in the business!